Speaking to motogp.com at Misano last weekend, KTM’s Head of Motorsport, Pit Beirer, provided details of the Austrian manufacturer’s road map to MotoGP™ participation in 2017. 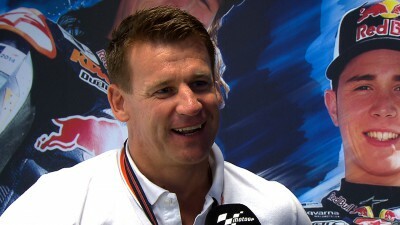 Since KTM’s previous short lived premier class involvement with Team Roberts came to an end almost a decade ago, the factory have enjoyed great success in the lightweight category, but Beirer has now provided confirmation that the company are working towards future full participation in MotoGP. Beirer stated, "I can absolutely confirm that we have had a board decision at home at KTM that we could make the big step into this class. We had plans to go first to Moto2 somehow and grow maybe in smaller steps, but it doesn’t make a lot of sense to build a KTM with a Honda engine inside so it would never be a real KTM. 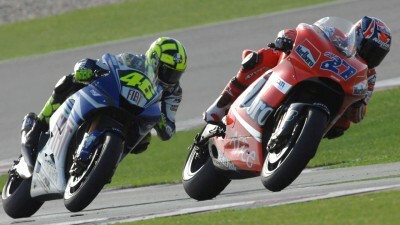 So we decided to make the big jump and go into MotoGP. We are already very busy with this and we are trying everything to get ready for 2017." On the specifics that can be expected in terms of machinery, Beirer explained, "It will be a real KTM, with the engine concept we are pretty sure it’s going to be a V4, but in the end this will still be in a tubular frame, it will be with WP Suspension, and it will be 100% built and made in Austria with KTM, so we are not looking for external suppliers to build the bike for us." 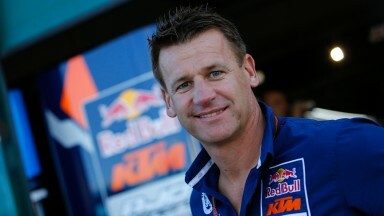 He continued, "We want to make it a real KTM and go definitely the hard way. We know it will be a really tough project for us and we will need years now to step into the class and to be ready. But I’m also sure that with our engineers at home we are able to do it. It’s a long term project. We are at the very beginning, but we are looking forward to being part of the big show in the motorcycle world, because MotoGP is a dream for any manufacturer, to be part of the highest level of bike racing in the world. That’s our target." Asked when KTM plan to start testing a potential MotoGP™ prototype, Beirer replied, "That will be at the end of next summer."